I had always said that I would release some things I had been holding back only if Natalee had been found or after 10 years. Unfortunately Natalee has not been found yet. A couple pages back some of you were talking about mental make up of some folks that followed and sleuthed the case. Might I add, rightfully so. Klaas said, "Seriously? It's one thing sleuthing and supplying information to an investigation and another completely inserting yourself into an investigation." I could not agree more and it was something that I made a point to always be mindful of when covering and commenting on this case. As much as the "haters" always claimed that we did this or that, Red was this or that. The haters and jealous types made all the claims of what they were doing or would have done. They obviously could not have been more wrong or uninformed. But as Taylor Swift sings, And the haters gonna hate, hate, hate ...Baby I'm just gonna shake, shake, shake ...Shake it off. And the fakers gonna fake, fake, fake ... Baby I'm just gonna shake, shake, shake ... Shake it off, Shake it off. Truth be told, SM never initially contacted any media outlet and said, we have this, or ever requested to be on radio, tv or interviewed for paper media. Not once. It was the producers of all the shows that contacted us or in some cases just stole our stuff with no attribution. SM was actually used as background information on one of the networks where the producers actually refused to name us. You have to remember that the media and internet blogs were so different back then. The multiple times I was on Court TV was all them coming to me. In fact, I turned down many because they wanted me to show my face. And a little tid bit, After owning TACO Joe on a couple of interviews, he refused to go point - counterpoint with me and only would do interviews after I spoke. What a brave man. A high-priced NYC attorney afraid of little ole RED. What's the matter Joe, couldn't handle the truth, a challenge and some one who knew the facts inside and out, hmm? But the one thing that I always wanted to maintain was that this was about finding Natalee. I went back thru all my pictures and I cant really find any of me posing with either Beth or Dave. I think I have a couple of me and Beth at a missing persons event, but that's about it. The searches I went on were not about interjecting one's self into the story. In fact I tried to do everything not to do that. The folks at TES did not need a celeb, they needed a searcher. And that's what they got. 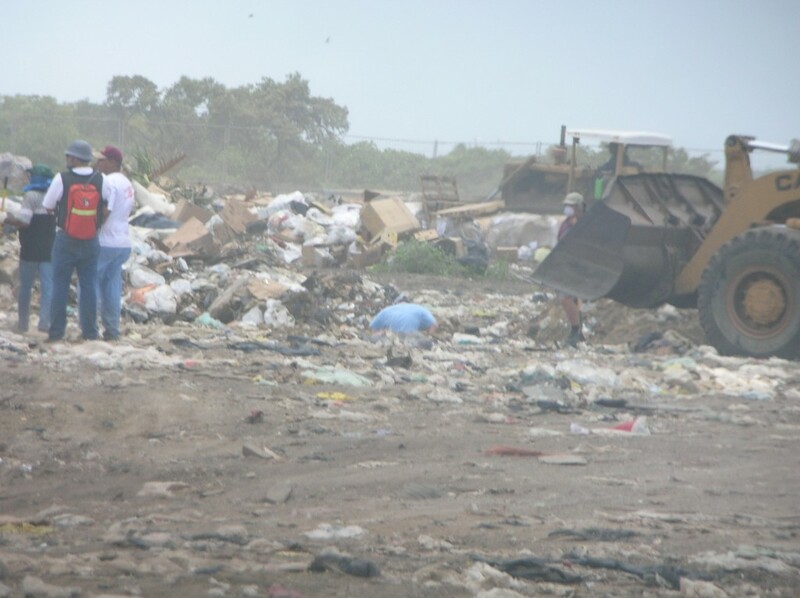 When I was there in Aruba, with the support of all of you, we searched the landfill, the Pond, the Bird Sanctuary, the area around the Fisherman's hut and the VDS's neighbors yard just to mention a few. Later I will be posting some pics from those searches that I do not believe have ever been seen before. It was always about Natalee and helping the family. The translation of the witness statements were about helping the family. The searches were about helping the family. The tips and advice in dealing with Aruba were about the family. Taking the slings and arrows from the haters to shield the family was about the Holloway/Twitty family. 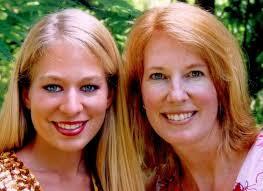 All the work that all of you have done was about Natalee Holloway and her family ... God Bless you all for that!!! Thank you to those who have provided comments regarding the never-ending and tireless efforts to help not just the family of Natalee Holloway, but others as well. Thank to all of you as well and the mods, past and present, and to Klaas. 10 years and I cannot even begin to say what an adventure this has been. Personally I have lost a parent, a sister to cancer and 4 beloved pets along the way, including my precious Phoebe, a Chihuahua mix rescue puppy who I still have not gotten over. I said to both Beth and Dave way back at the beginning of this case that we would never give up. Honestly, I never knew way back when that the disappearance of Natalee Holloway would become so big and take on a life of its own. We were newbies back then. There was no Facebook, there was no Twitter, there was no Instagram. Technically, at the outset of this case Scared Monkeys had no Forum. We just had the Front Page blog. I can't begin to tell you what it was like to monitor comments back in those days. Refresh ... 50 comments, refresh ... 100 comments. We had to find a way to better organize and centralize the posts, criteria and comments. After pondering high and low ... Enter the Forum ... the Monkey Cage. As I look back, it would appear that SM was one of the first sites on the web to incorporate a blog and a forum together. Back in 2005, you were either one one the other. Heck, blogs were kinda new at that point. 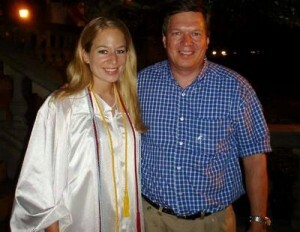 In 2005 SM was the on-line focal point of the Natalee Holloway case. We had the Front Page crew and the Forum and all the many different theories, opinions and comments. We learned along the way that not all moderators were created equal. Some had their own agenda and brought much drama. Some too much drama and were shown the door. The same could be said for many guests and commenters. One of the interesting things about SM is it was the originator of about 5 or 6 different blogs and forums of those who either had an agenda that was contrary to the goals of SM or those with opinions that were just to hateful or those with egos who just could not be apart of a good thing. BTW, the goal of SM was to find the girl and provide Justice for Natalee. With all we've seen and learned over the years, it's hard sometimes to have hope that Natalee will ever come home to her country, or have justice. But miracles happen every day. I'll always have hope, and will continue to pray for Justice for Natalee. So many roads we've been down, so many seemingly trustworthy people, that were anything but. So many with agendas wanted this site gone, and I'm sure many are still spewing their vitriol in various hidey holes. But that's ok, they're where they belong, and we're still here! Ten years ago, Natalee Holloway went missing on a beach in Aruba. Her disappearance launched a massive investigation but left behind mysteries that persist today. Here is one of the first reports CNN reporter Karl Penhaul filed on her disappearance. I LOVE that Jossie used the Joran Face of Aruba flag I created. Again, God bless you Red (and everyone here who follow and care)!! I think you have alluded that Beth has followed The Monkeys over the years, but I have always been curious if the family has ever taken our own theories/info and pursued them to any degree. I'm particularly interested in the "cage." I understand if you would rather not comment, but would like to know if we are at least considered. THANK-YOU!! behaved when the realization became obvious [ to all around the U.S & elsewhere via media ], that serious investigation was needed. The lack of responsible concern was stunning ... and still is, I might add. Is it their culture, there on Aruba, I wonder... Had Natalee been a native of the Netherlands, would the proper investigation and proper pursuit of the actual truth been honestly pursued????? Wreck, I can say this ... all we can do is present them and point them out to the family. Some highlighted and underscored more than others. Of course over the years I have gotten a little frustrated that sometimes they would follows others and stuff that I thought the people were not trust-worthy or were taking them down the primrose path. But in the end, its the family's call not mine. My thought has always been that pretty much every theory needed to be vetted because the obvious ones were not coming up with any results. I will say this regarding the water search. SM was supposed to be a part of covering and have a presence prior to it starting. When we got pushed to the side after being told we would have access and provided no reason ... Did not set well and I questioned what was going to happen. Unfortunately many of my concerns came to fruition. Not quite sure how things are mapped and not searched. But that would not have been the first occurrence that some thing like that happened from the outset of this case. I had a lengthy reply, but my IPad overheated in the middle (we actually have sunshine in Dallas for the first time in a month!) I kinda thought so, but I still wish we could go back to square one and re-inestigateall the original leads! A Note to Beth: Don’t Give Up, Dont Ever Give Up. I am reminded in reading the following article from the AP, ‘Yellow Ribbons Strung for Missing Teen Fade in Sun, Along With Hopes of Solving Mystery in Aruba’, of a couple of very important lessons that I have learned in life. One being do not ever give up even when times seem difficult and overwhelming. The other is do not ever forget as we will be destined to repeat history. It appears that these lessons need to be taught again after reading this article that borders on the giving up of hope and eager willingness of many especially those quoted in Aruba to just move on and forget. One message is for the Holloway’s and Twitty’s, the other for many in Aruba. Let us take a moment and remember what this situation is all about. It is of the vanishing of a teenage girl and the desperate search for her who’s only guilt was going on vacation to celebrate her high school graduation. Remember when you decide to be tough on the family for acting in any manner with the grief they are going through. Remember this when Beth says things out of sheer grief and pain. Remember this when the loss of a child to a parent is more precious an valuable than any economic dollar amount. But now, even as she plans to stay on the island indefinitely, she says “she knows my life will never be the same“. With the disappearance of Natalee Holloway in 2005 created a media coverage of Aruba. 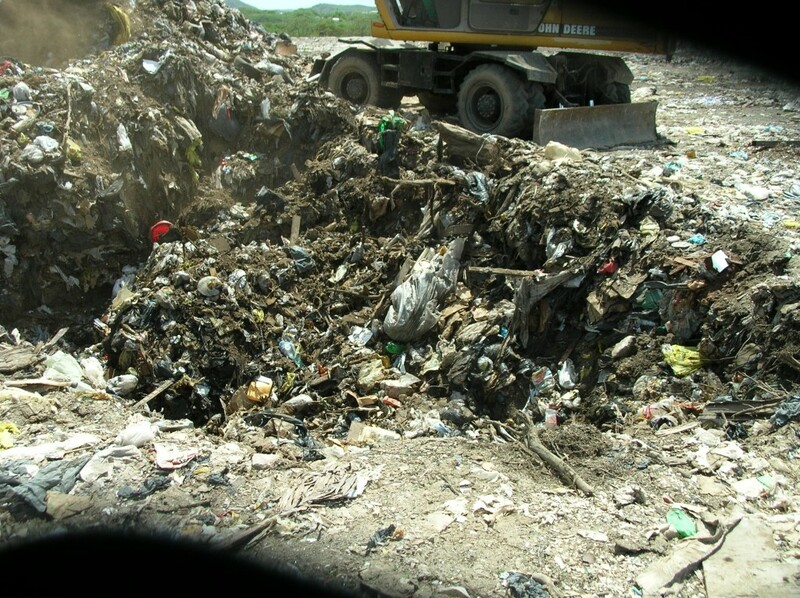 That focus has had significant consequences for the Aruban economy. 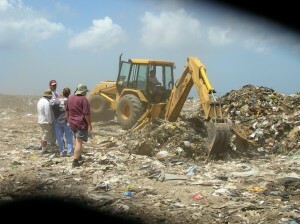 In a quest for the consequences of its disappearance are economists Hassink, De Kort and Knight said that this had a negative effect on the Aruban economy of between 0.5 and 2.1 percent of the (nominal) Aruban GDP (gross domestic product ) on an annual basis in 2005 and between 2.5 and 4.0 percent of GDP in 2006. And another from 2005 ... To Beth, one of the strongest individuals I have ever met. “She learned things before the police did. She knew what to ask”. “A mother’s intuition is a powerful thing“. From the first moment that any of us saw Beth Twitty on TV, we all knew that she was a smart, caring, driven mom that would not be denied in her quest to find Natalee and answers. Many of us know for a fact that if it were not for her perseverance most likely two black security guards would have been convicted of a crime they did not commit and this case would have been brushed away as fast as humanly possible for reasons other than that of correctly solving it. The Holloway’s and Twitty’s knew from the outset that the only way to maintain pressure on the investigation, probably not as much as what they would later understand, was to keep the story alive in the media. I would also like to say in the blog world as well, as many have cooperated with us to get the story out and to inform those interested readers that have been riveted to the story from “dawn to dusk and dusk to dawn”. Although, I am sure that Beth would trade all comments about herself for Natalee to be found; Beth’s actions, determination and will have inspired us all. One mom’s determination has taken on an island for answers and the truth and for that she deserves our respect, admiration and support. Not only has Natalee become “everyone’s daughter”, Beth Twitty has become “everyone’s mom”. Beth certainly has our support. I love both of those, Red! Beth's the courageous mom that we'd all want to be in this situation. It's obviously Dave in the picture, but they call him Doug in the post. Great day spent with Texas Equusearch - TXEQ at Jackie's Brickhouse today. We were thrilled to be able to present a check for $33,000 dollars to their tremendous cause. Just so happened to be the 10th anniversary of Natalee Holloway's tragic disappearance. Her father, Doug Holloway, was present and we had the opportunity to have him join us in the presentation of our ELK donation. Thank you again to all of the volunteers who make TXEQ the selfless organization that it is. Jackie and I want to say thank you once again to all of the TXEQ volunteers, the high school boys, the police officers, Daryl Turner (auctioneer) , Brian Bobb and his awesome cook team, our regulars, and our friends, family and our staff here at JBH .... You all did and AMAZING JOB yesterday and the fundraiser was a huge success. Together, you guys helped raise $175,000! Tim said that they have been very busy, especially with the terrible floods that have taken place in Texas and Oklahoma. We chatted about so much. Some can be repeated, some can't. I have to agree that when trying to get Aruba to budge off of center, one has to have all their ducks in a row and force them to a search by embarrassing them. My comment, not Tim's. I asked him his opinion. Tim said he would search anywhere, on land or sea but in his opinion, he believes the ocean and crab trap theory. Louis Shaefer donating his condo in Costa Rica... Such an upstanding American. NOT!!!!!!!!!! Guess who is that masked man dressed in blue.